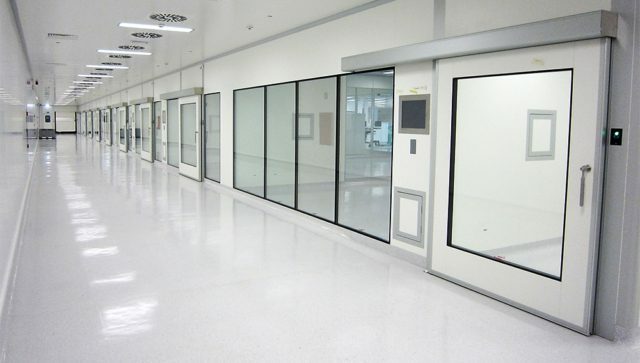 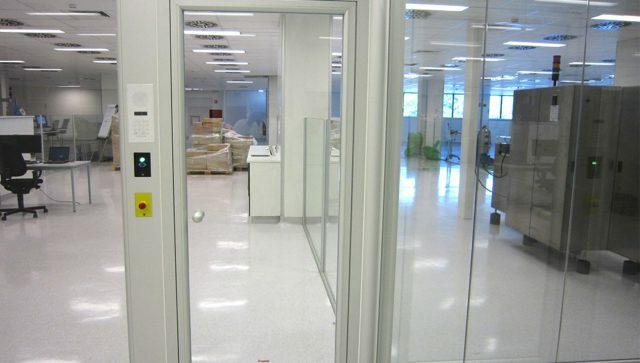 Nicomac cleanroom doors can be configured as single/double swing-out or as horizontal sliding either manual, automatic or semiautomatic. 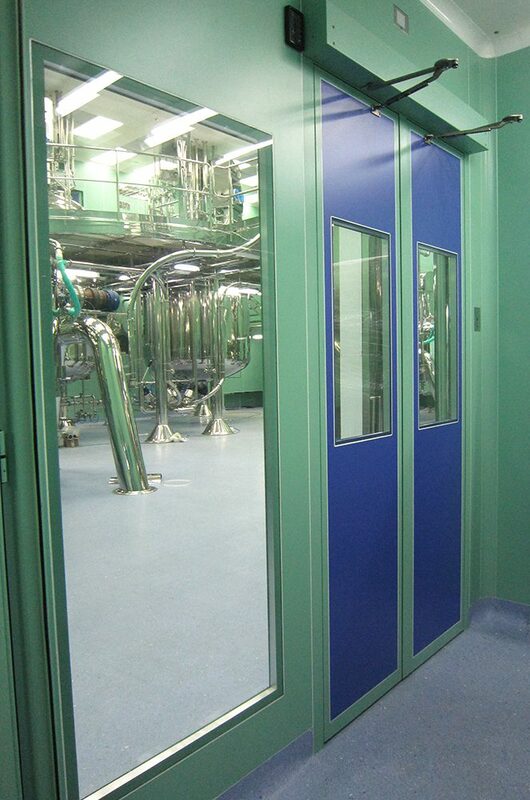 Nicomac Pharmaceutical door panels are assembled with the same panels of the wall system. 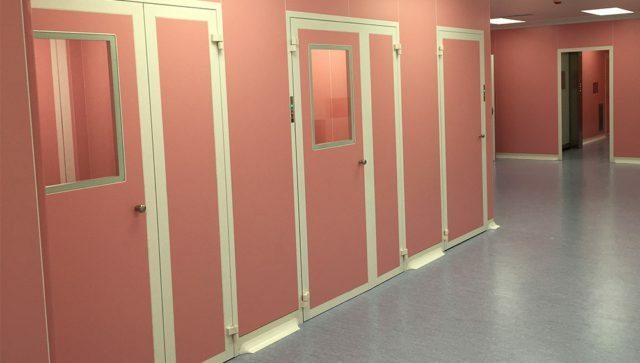 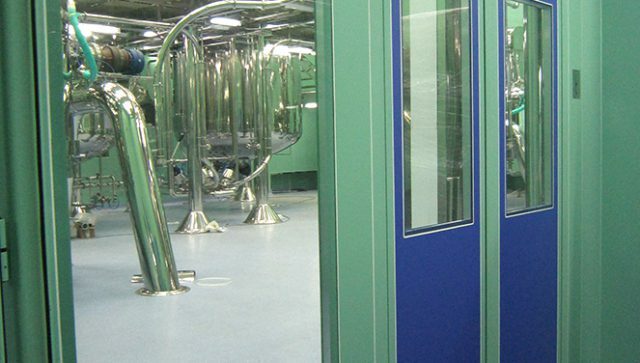 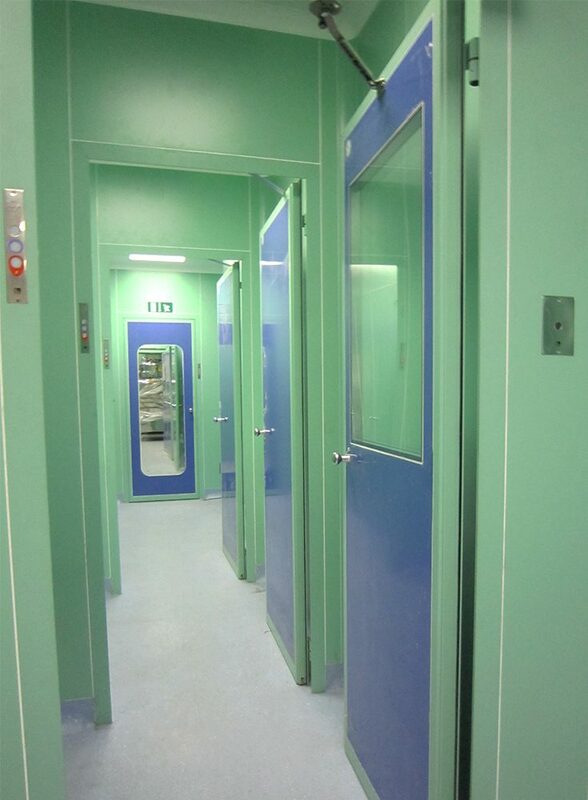 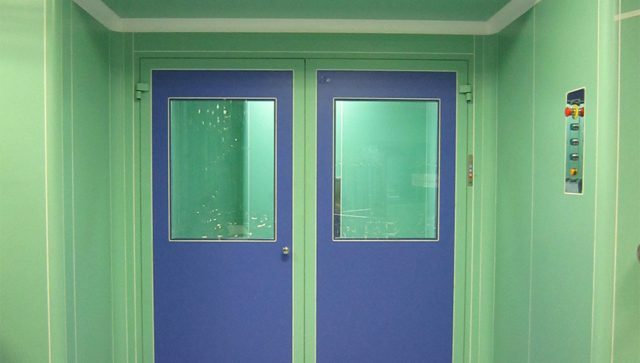 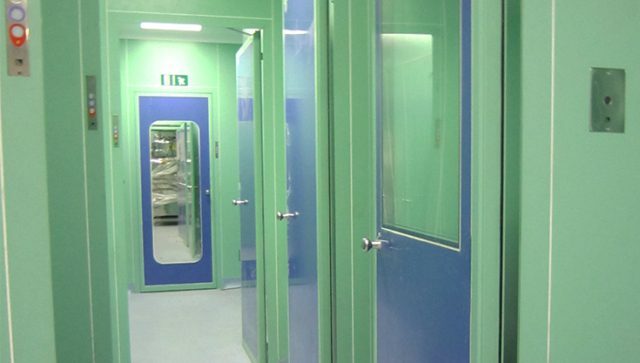 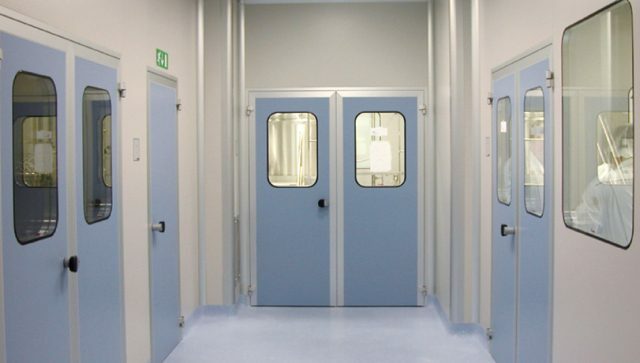 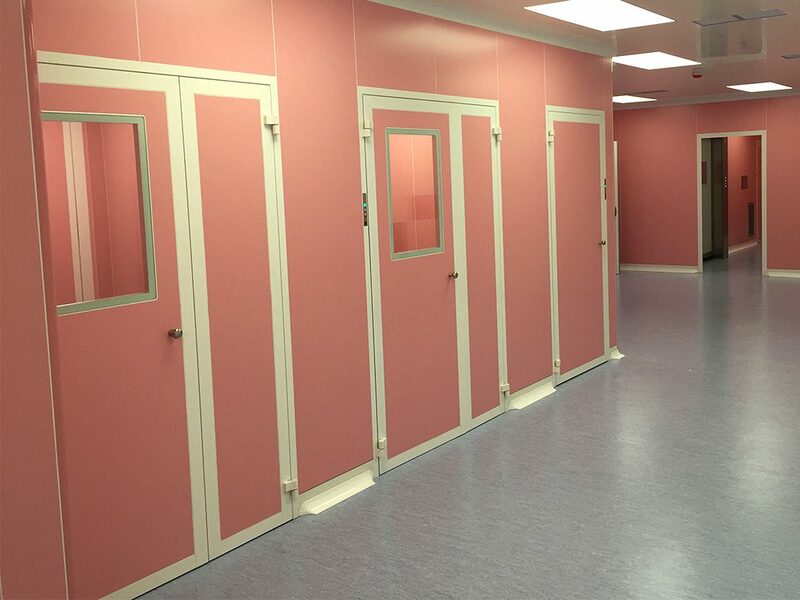 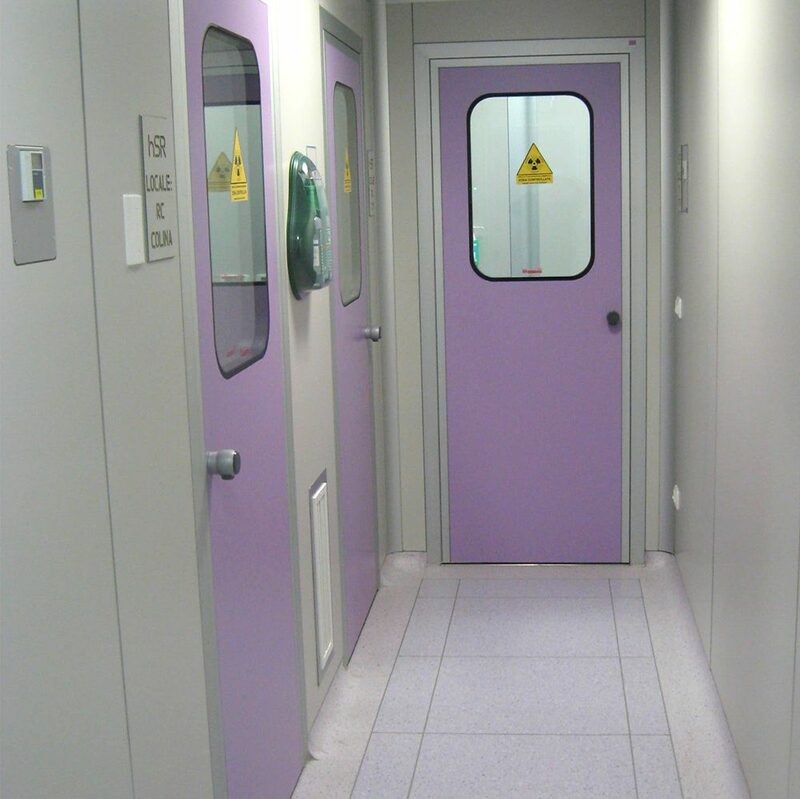 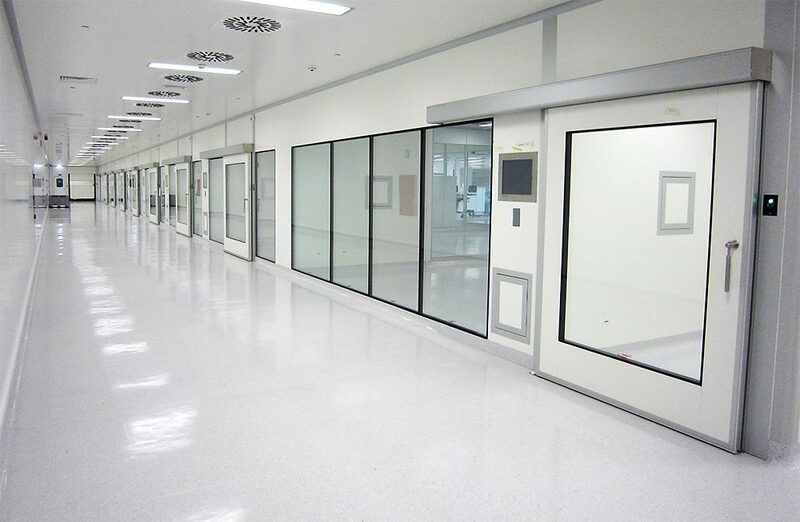 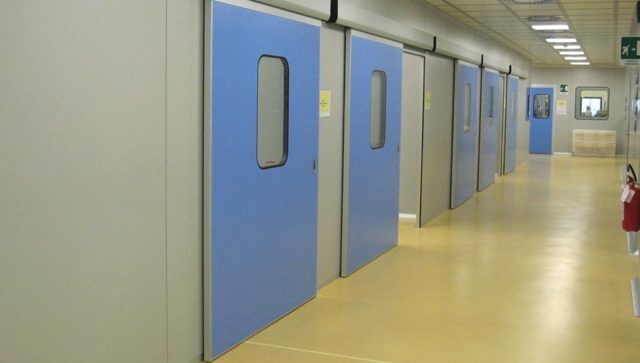 Swing out cleanroom doors are designed to fit flush with both sides of the wall panel system and are supplied in several dimensions. 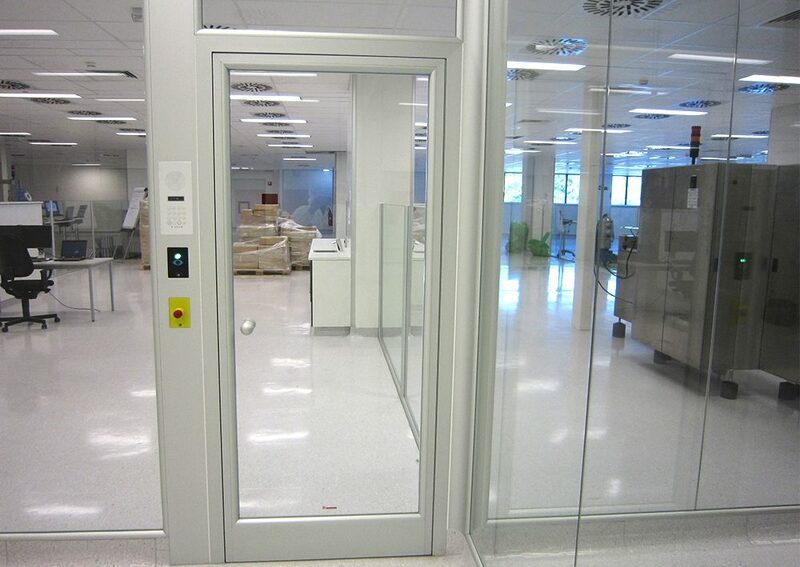 The external frames are manufactured with rounded anodized or epoxy coated aluminum profiles with air tight dual gaskets. 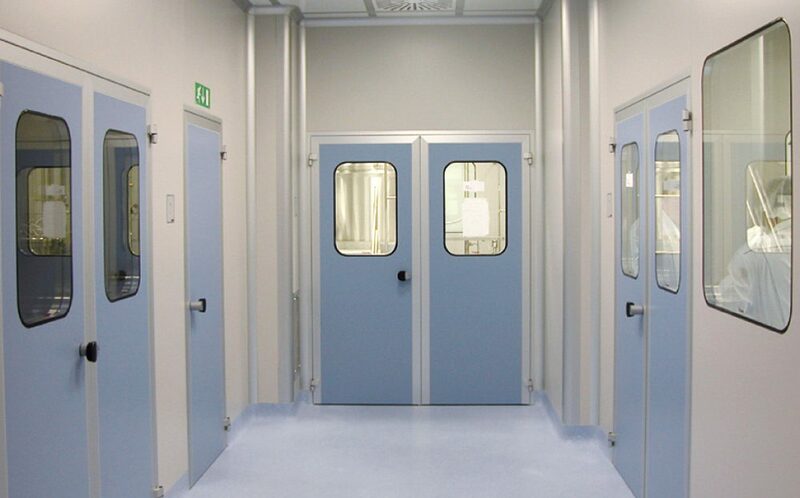 All fasteners for the hinges and latches can be recessed into the door frame. 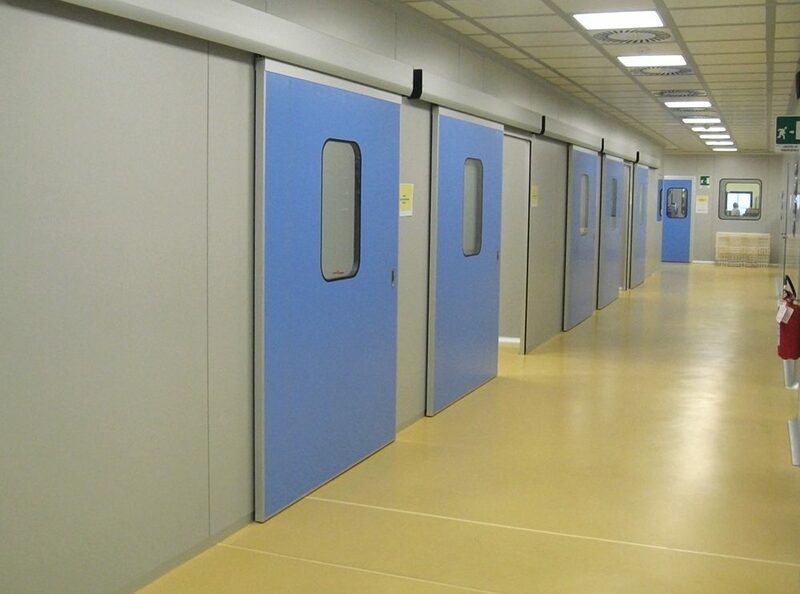 Standard hinges allow doors to swing 180° degrees from full open to full closed position. 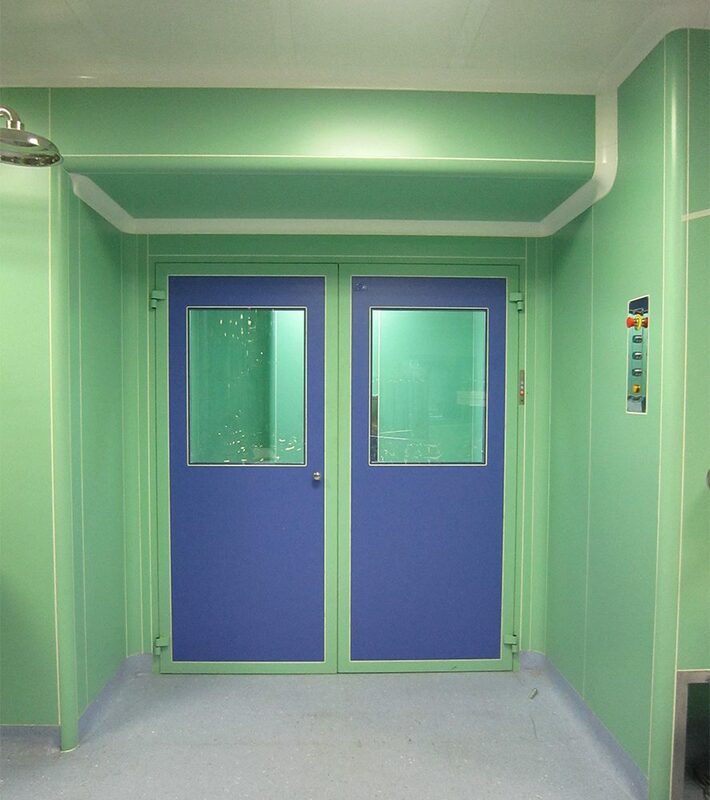 Nicomac pharmaceutical clean room doors are also available with interfacing profile for a flush and easy installation on existing walls.